Neotrup, just for clarification, your explanation with Failure is specifically for the old version of the rules, yes? With the new version, Failure / Comply has the full combined CMC in the library, not just Failure's half. 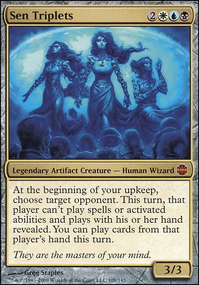 You can use Sunforger to cast Failure, because while it's in your library it is a white and blue instant sorcery with CMC 3. You cannot cast Comply though because it cannot be cast from any zone other than your graveyard. 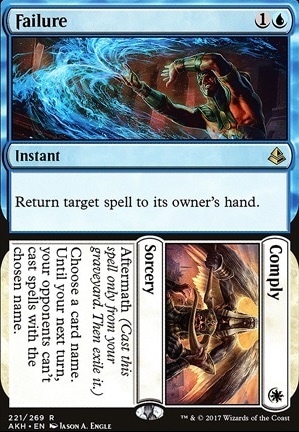 Before Amonkhet came out there were no cards that were both an instant and sorcery, so that's a bit of a moot point, but you'd look at each half individually, and neither half of Failure to Comply fits the criteria, but one half of Response or Resurgence does, so your example would have worked, but who knows if instant sorceries would even exist at this point without the rules change. If a spell is cast with flashback (or aftermath) and it would go anywhere other than exile, you exile it instead, this includes being the target of Failure. I assume that if I Failure a spell being flashbacked, It'll get exiled rather than go to it's owner's hand... I'm I correct? I think you are trying to do too many things with this deck. 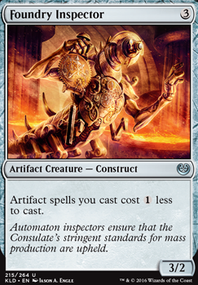 Jeskai Control is a pretty well-established archetype, there's no real need to change it this much in my opinion. The only creatures you need in this deck are the 4x Snapcaster Mage, I'd get rid of everything else. You also have too many shock lands, not enough total lands, not enough color variance, and not enough basics to play around Blood Moon, Field of Ruin, etc. I'd go with 4x Scalding Tarn, 4x Flooded Strand, 2x Hallowed Fountain, 2x Steam Vents, 2x Sacred Foundry, 3x Celestial Colonnade, 3x Island, 2x Plains, and 2x Mountain. Then without all the creatures you can run boardwipes, I'd go with 2x Supreme Verdict and 1x Wrath of God. 3x Cryptic Command, and, to shake things up, 3x Nahiri, the Harbinger and 1x Emrakul, the Aeons Torn. 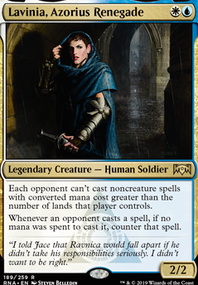 You're running a lot of questionable spells; I'd cut 4x Hindering Light (too specific), 4x Failure (kind of just like a worse Snapcaster Mage) and 2x Momentary Blink for 4x Opt, 2x Spell Snare, 2x Mana Leak, 2x Logic Knot, and 2x Electrolyze. Farm / Market is a really good addition for the deck, you're right about that. I've switch the count of Censor and added some Revolutionary Rebuff and switched the Opt for Spell Pierce to have a full set of control tool for the first turn. 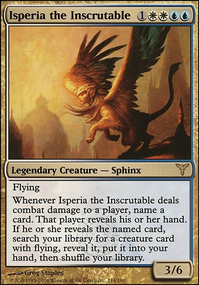 I've put the Search for Azcanta Flip in the Sideboard with the Settle the Wreckage because they do slow me Game 1. I've added Approach of the Second Sun to the sideboard since it work so well with Azcanta, the Sunken Ruin. It can also be an amazing T7 in Magic Wonderland where you cast Approach, keep priority and cast Failure and return Approach to your hand. Your ideas have quite help me!. Thank you for the suggestions! There are so many counter spells, it's been rather difficult for me to decide which one to pick. It's definitely a help to know which are the best options. I also rather like Supreme Verdict. It would be a great option since I have methods of spamming token creatures later in the game.